Have you been the victim of medical or dental malpractice? Do you need a New Jersey medical malpractice lawyer? The answers are yes you do if you’ve been injured by your doctor or dentist. Maybe an operation or a childbirth was botched. Perhaps you developed an infection in the hospital. Or maybe your physician failed to properly diagnose your condition or injured you with incorrectly prescribed drugs. There was a delay in rendering necessary medical treatment. Perhaps medical malpractice even caused the wrongful death of your loved one. However it happened, you or your loved one were hurt. Who will pay for your medical expenses? Who will compensate you for your pain and suffering? You can be sure that the insurance company for the doctor or dentist has experienced lawyers and insurance adjusters on their side. You’ll need someone to represent you. Someone with the experience and toughness to stand up to the other side’s lawyers. Someone to look out for you. 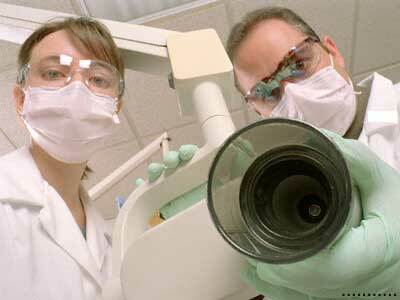 If you’re the victim of medical malpractice or dental malpractice, you don’t have to go it alone. You don’t have to let the insurance company pressure you to give a statement that might hurt your case. As they say on TV, anything you say can be used against you later. The insurance company may also try and pressure you to settle your case for less than it’s worth. An experienced medical malpractice attorney can help you stand up to a large insurance company. With an experienced medical malpractice lawyer at your side, you can receive every dollar that you deserve. You should know that there is a time limit for taking legal action to pursue any claims that you have. If you fail to take the proper action on time, you will never be able to recover anything for your injuries. The time limit can be as little as 90 days from the date of the incident. In other cases, you may have more time. Either way, you need an experienced medical malpractice attorney. The attorney will make sure that you don’t lose out on a technicality. Similarly, there are time limits to file a claim for medical insurance benefits. Even if you don’t have an insurance policy, it may be possible for you to obtain insurance benefits to pay for your medical bills. Again, an experienced medical and dental malpractice attorney can help. The selection of a medical and dental malpractice lawyer is an important decision. Not all medical malpractice lawyers have the same experience. If you’ve been injured by medical or dental malpractice, you need a New Jersey medical malpractice lawyer. Contact Mr. Berman at 888-316-8288 (Toll-Free) for a FREE consultation. There is no attorney’s fee unless you recover money damages from your case.